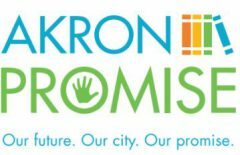 Akron Promise – Kenmore-Garfield Stark State College Scholarship. The Akron Community foundation list of available scholarships. Akron Public Schools list of available scholarships. North High School maintains a list of scholarships (these are likely available to anyone). Ellet High School maintains a list of scholarships. FBI Citizens Foundation Academy of Cleveland – For students interested in working in law enforcement. Scholarships listed below are available exclusively to Akron Public School Graduates. Esther Simonetti Owen Future Educators Scholarship – $1,000, number varies. Akron Branch of NAACP – Full Tuition, renewable, at Kent State, African-American, Hispanic, or Native American. RaiseMe Micro Scholarships – Earn up to $1,200, renewable getting A’s and B’s. Kent State University Participates. This article from cleveland.com explains the program. Ohio Black Caucus of School Board Members Leo Lucas Scholarship – Application in 2018 was from Feb 9 until March 14. Adrian Rubin Scholarship – $1,000 awarded in winter of each year. Recovery Village Health Care Scholarship – $1,000 awarded to a student seeking a Health-related degree who has been personally affected by addiction. Edsmart.org list of Scholarship search sites.